Before and after breast augmentation. 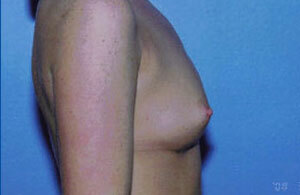 This patient had flat breast and was desiring more volume and projection. She was happy with the projection achieved.